-Super light-weight thin-wall contruction using high strength chrome vanadium steel. -Oversized and taper seat to ensure best contact. 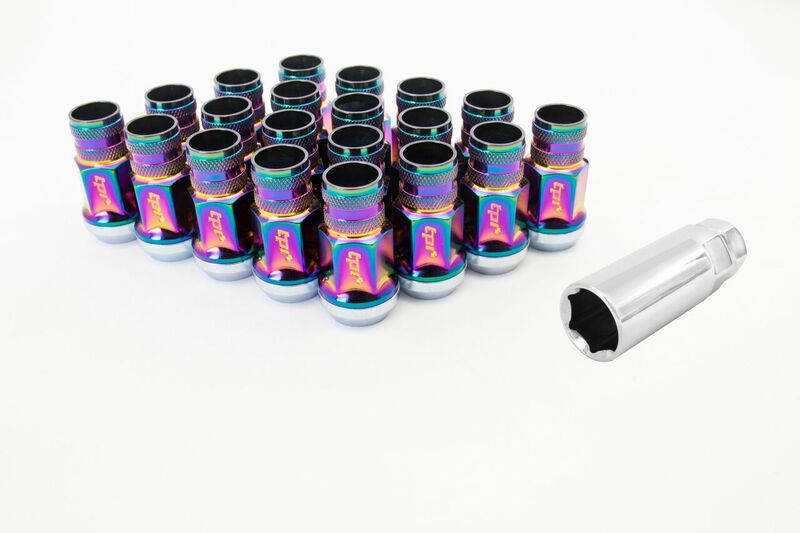 -Knurled tips for better grip. 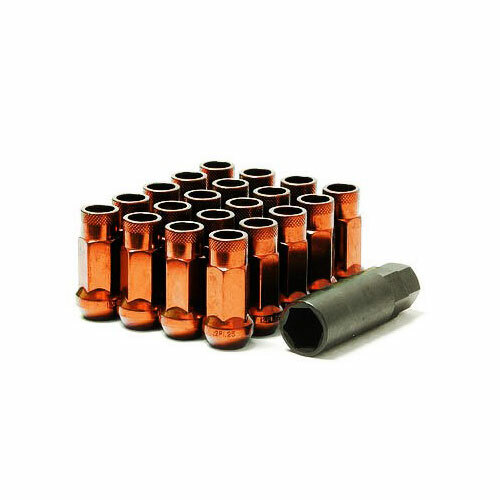 -Full stud engagement and can accomodate long racing studs. 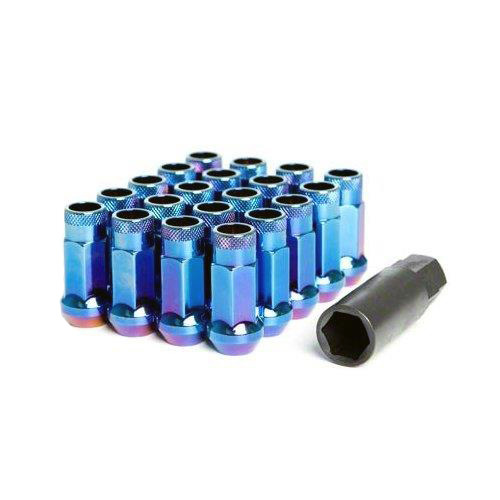 -Reliable and stronger than aluminum racing lug nuts. 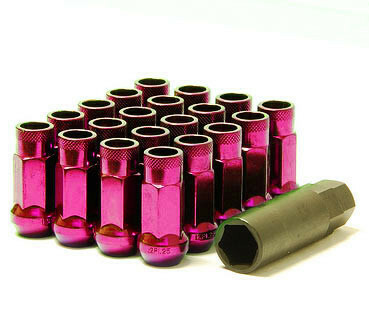 -Includes 20 pcs Lug Nuts and 1pc 17mm Hex Wrench Adapter.